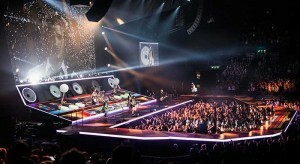 Following on from the unprecedented success of their first tour in 2014, McBusted are back with a new 21-date arena tour. 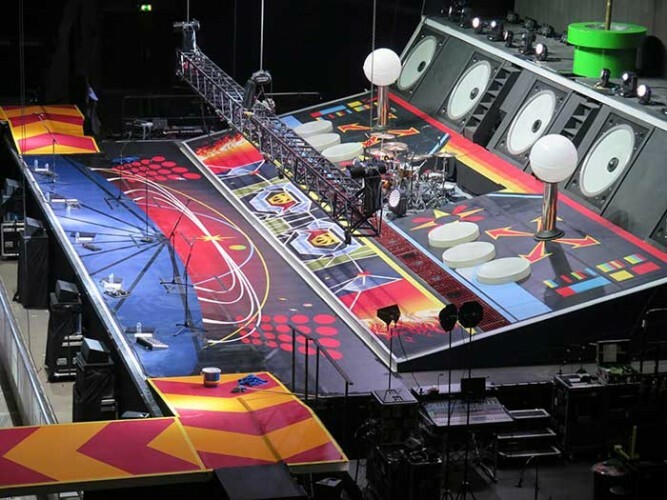 Captivating fans with a set theme inspired by iconic moments of the late 80s and early 90s including a giant arcade game, the tour is already a huge success. It was Le Mark's large scale print team that produced the 360sqm of custom printed floor which became the centre piece of the arcade-themed set. Working together with Production North, one of the UK’s leading music concert tour and event production companies, Le Mark's design team created a reusable jig-saw style layout. 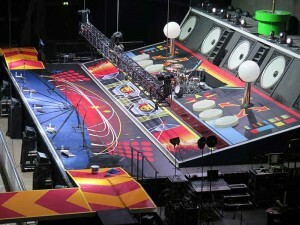 This essentially allowed the floor to be easily installed, rolled up, transported and reused at every venue on the tour.